Anyhow - I don't have any problems with soy except for that it is pretty calorie dense so I wanted a milk substitute to put into my iced coffee that was lower in fat. I looked at rice milk at the store but that stuff is CRAZY. It's full of oil, sugar and other crap. No thanks! I love the taste! 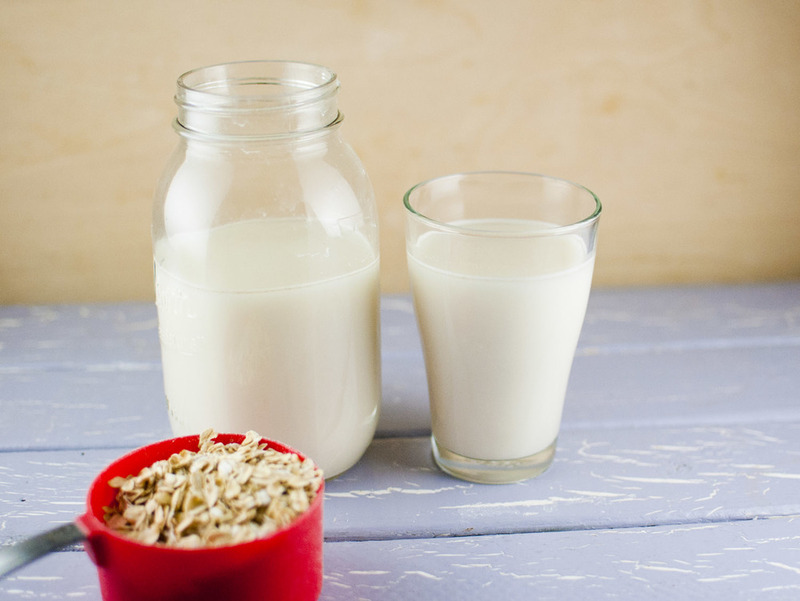 It's oaty - but rich - but not goopy - it's really refreshing! AND it's CHEAP! Woohoo!! Let's just get to it instead of talking about it.. you should have this totally ready in about 3 minutes. Ready? GO! Blend the dry oats in your blender for about a minute or until it is like a flour. Add in 3 cups of water and blend to combine. Strain through a tea towel, coffee filter or double layer of cheesecloth. Add in the remaining water and sweetener to taste. Store in the refrigerator for up to a week. Make sure you shake it really well before pouring each time. Use certified gluten free oats to make this gluten-free!